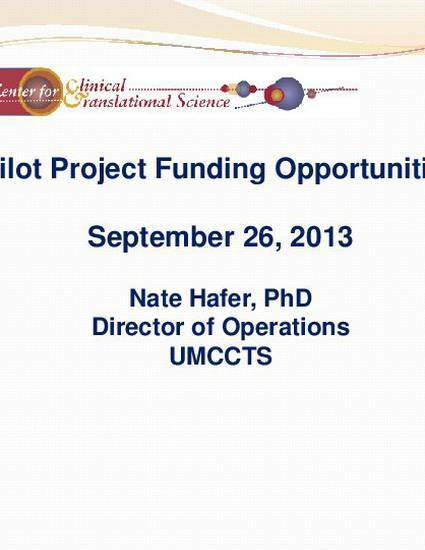 Learn about funding opportunities offered through the UMCCTS in the 2013-2014 academic year. A previously-funded researcher (Kristina Deligiannidis) also describes her project, "Neuroendocrine & neuroimaging endophenotypes in perinatal depression." View a video of Kristina Deligiannidis' presentation (34 min. ).